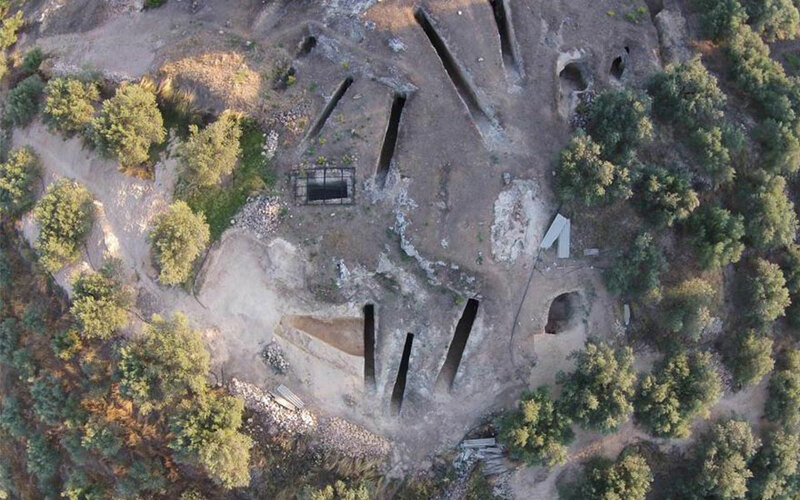 An aerial photograph of the Mycenaean grave site in Aidonia. 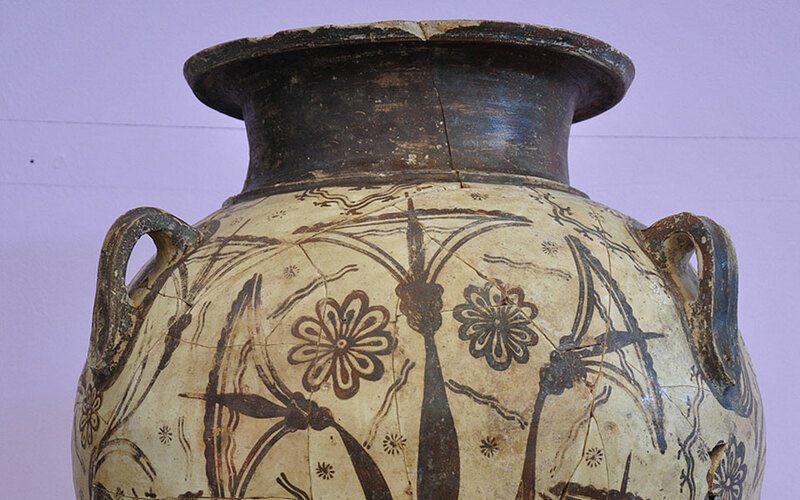 A ceramic amphora of the kind used by nobility with painted decorations. 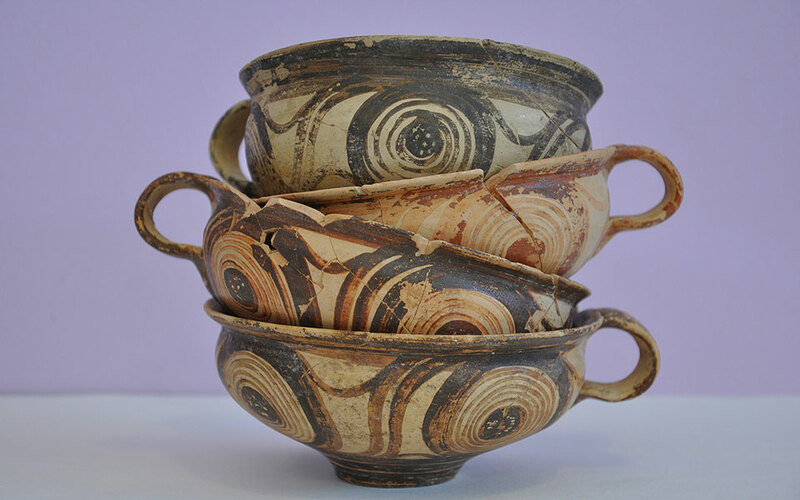 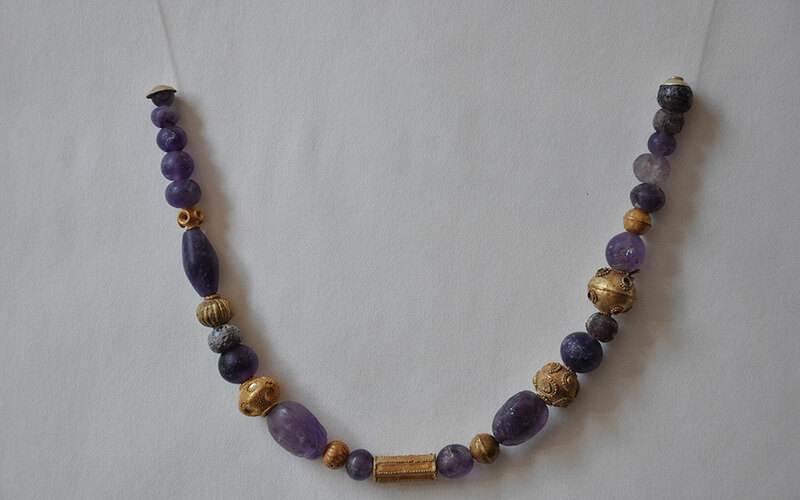 The tomb belonged to a noble family and contained ceramics, jewelry and weapons from the early Mycenaean era. 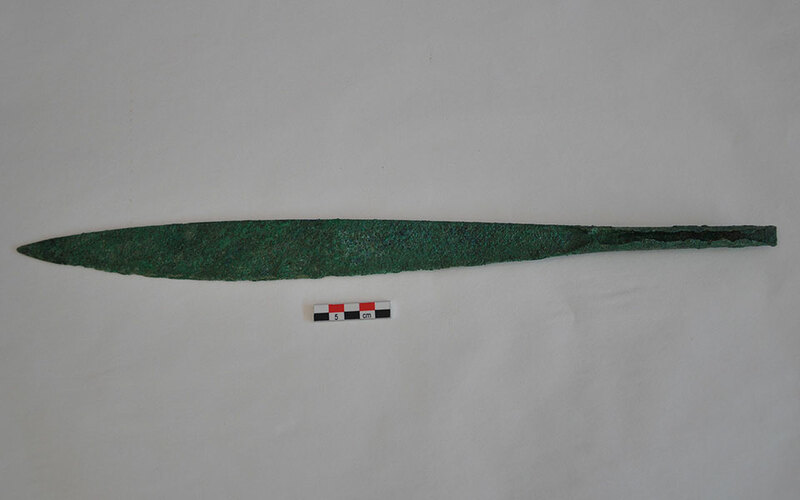 An intact tomb from the early Mycenaean era (1650-1400 BC) has been unearthed by archaeologists in the region of Nemea, in the Peloponnese.